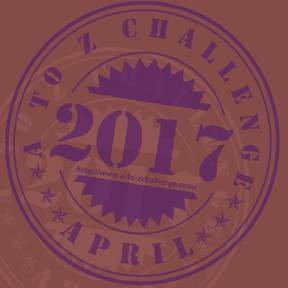 Lloyd of Gamebooks: #AtoZChallenge N is for New stuff from Mark Lain. #AtoZChallenge N is for New stuff from Mark Lain. Whassup, gamebookers! Today, we have Mark Lain, writer of the Malthus Dire blog and several great gamebooks. Today, we have an interview on what he's been up to. I discovered gamebooks when my parents bought me The Warlock Of Firetop Mountain for Christmas 1983 and I was instantly hooked. I strictly only ever got Fighting Fantasy books as a child, but now I collect any gamebooks I can find. I’ve got about 500 or so now but I still think that playing rather than coveting them is the most important aspect. That’s what drove me to create my review blog and, inevitably, to start designing and writing my own. You do awesomely detailed reviews on your blog – what’s next for review? I’ve had a few requests for Siege Of Sardath so that’s probably next. 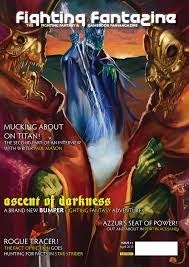 Are you going to Fighting Fantasy Fest 2? Absolutely! I was at the first one, which was fantastic. I just hope this one compares well. What have you included in Golden Dragon book 2 Temple of the Flame? Now that would be telling! I don’t want to give the secrets away, but, essentially, I thought about what I did and didn’t like about the original version, cleaned up some bits that seemed jarring to me, expanded some areas, and added some completely new material of my own. Hopefully people who know the book well with think the new parts add value and those who are new to the book will come away thinking it all gels as a coherent whole. What gamebooks would you recommend to someone who wants to get into gamebooks? It depends on the player’s age. Many younger people start with Choose Your Own Adventure which, as much as they are a very mixed bag, they do a good job of demonstrating the sheer variety of gamebook genres and concepts that are out there. Plus, they are fairly easy and don’t get soul-destroying as you try to win. Personally, I’d suggest The Warlock of Firetop Mountain is a good entry point though as it pulls together so many medieval fantasy tropes and is eminently playable. Or maybe even Combat Heroes as you mostly just have to look at the pictures which make it very fast-moving, plus you can play it with a friend. What advice would you give to anyone who wants to write their own gamebook? Do it! There will always be someone who likes your work and someone else who doesn’t, but don’t get disheartened. Spend a long time planning and designing it to make sure it flows and works properly. Write in short sessions – if you are flagging, so is your text, which means the reader is probably getting bored too. You have written your own gamebooks. What inspiration do you draw on to write them? Little moments that I see in movies or tv series that I then expand on. Lyrics from songs are a good source of inspiration as are things I see or hear as I’m walking to Co-Op. Nightmares are always ripe for plundering too. What is your new gamebook series about? When is it planned to come out? The first one, called Year Zero, is an introductory book containing four different adventures of various lengths to get players used to the system. Three are written and the art is done. The fourth is fully designed and just needs writing-up. Hopefully the finished book will be out by Summer. To see Mark's reviews and gamebooks, head on over to his blog. This year's A to Z entries are shorter, but still great to look forward to each day. Keep up the good work. Cant wait to see this series out there and get my hands on a tactile copy!